Just a couple of quick photos of Deathsleet from the Reaper Bones range. It was fun to paint, however I'm not too fussed about taking proper photos at the moment. 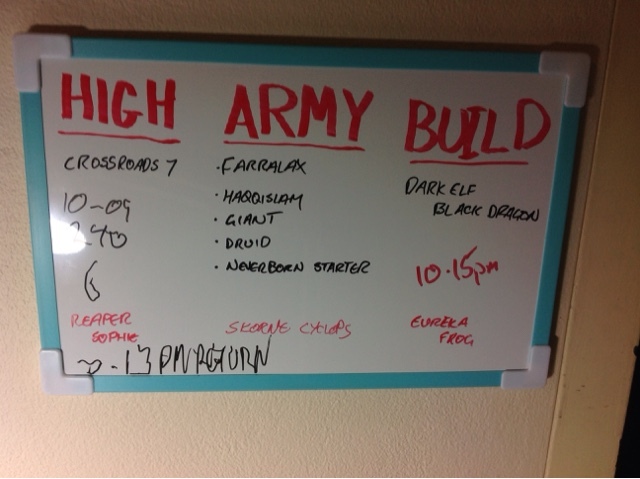 I spent a bit longer on the base than I originally planned. I put a few fake jewels on the base, keeping with the colour scheme, and then covered most of the base in snow. This was done in two stages, first with white texture paste mixed with Reaper Pearl White, and then with gloss medium mixed with GW snow powder for the melting snow. I was considering doing some powdered glass for snow effects as well, however after handing it to people, including small kids, at Gammacon in Canberra all weekend, I'm glad I didn't.Anyway, it's been a fun project, and gave me the chance to try out some snow effects I hadn't tried before. Honestly, I'm more likely to use the gloss and snow powder than the texture paste in the future, as I like the effect more. 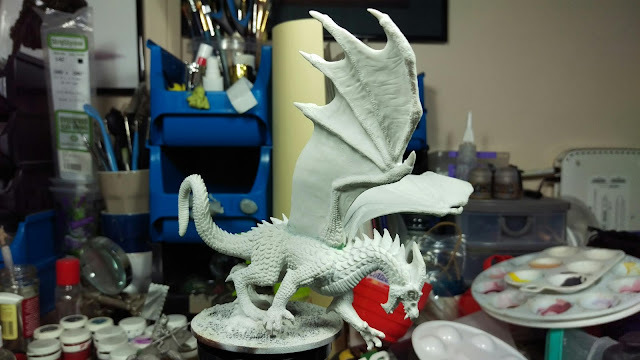 A few Wip pictures of a Reaper Bones dragon I'm working on. It's a bit more experimenting with the airbrush and masking methods. It hasn't turned out exactly as I wanted, but at the end I'm aiming for a finished tabletop piece with a few interesting details. Right now, I just have to finish the base. This was the start of the process, as I built a few of the Samaritans (Or whatever they are, I just kept calling them Samaritans) when they came out of the bags with the Scythe Witches and things from the Strain. 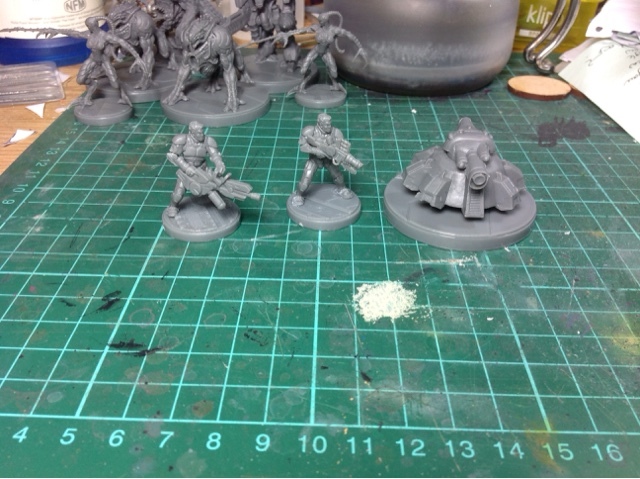 These heavy weapons guys caused some confusion at first - I managed to get a mispack where I got an extra body. There was a moment of checking around for the missing parts before I realised what had happened. I'm sure the spare body will be of use one day though.